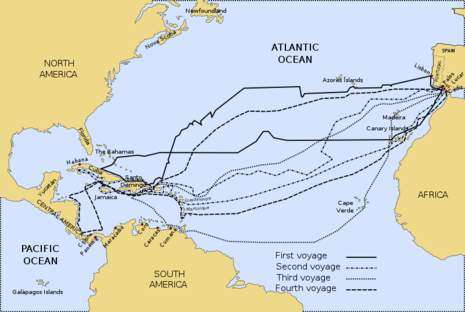 The recorded history of Haiti began on December 5, 1492 when the European navigator Christopher Columbus happened upon a large island in the region of the western Atlantic Ocean that later came to be known as the Caribbean Sea. 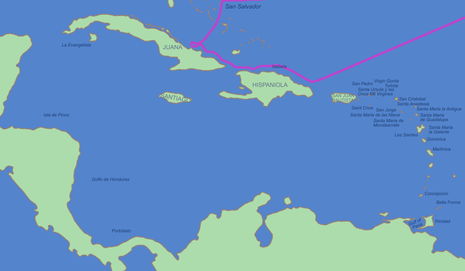 It was inhabited by the Taíno, an Arawakan people, who variously called their island Ayiti, Bohio, or Kiskeya. Columbus promptly claimed the island for the Spanish Crown, and renamed it La Isla Española ("the Spanish Island"), or Hispañola (later Anglicized as Hispaniola).